I once had a boyfriend who believed I was wasting my time when reading. I’m still not sure that relationship progressed as far as it did (okay maybe I know but I don’t want to admit to it) although I will say with certainty I learned a lot about myself during that time that I may not have figured out otherwise. 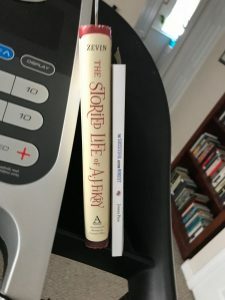 Anyway…it was impossible to convince that guy of the benefits of reading.I’ve encountered other non-readers in my l life as well who can’t see or have tried yet can’t experience the benefits many readers do. My intent today isn’t to convince you to become a reader if you aren’t one. If you hate it, that’s a bummer but I can respect your choice. 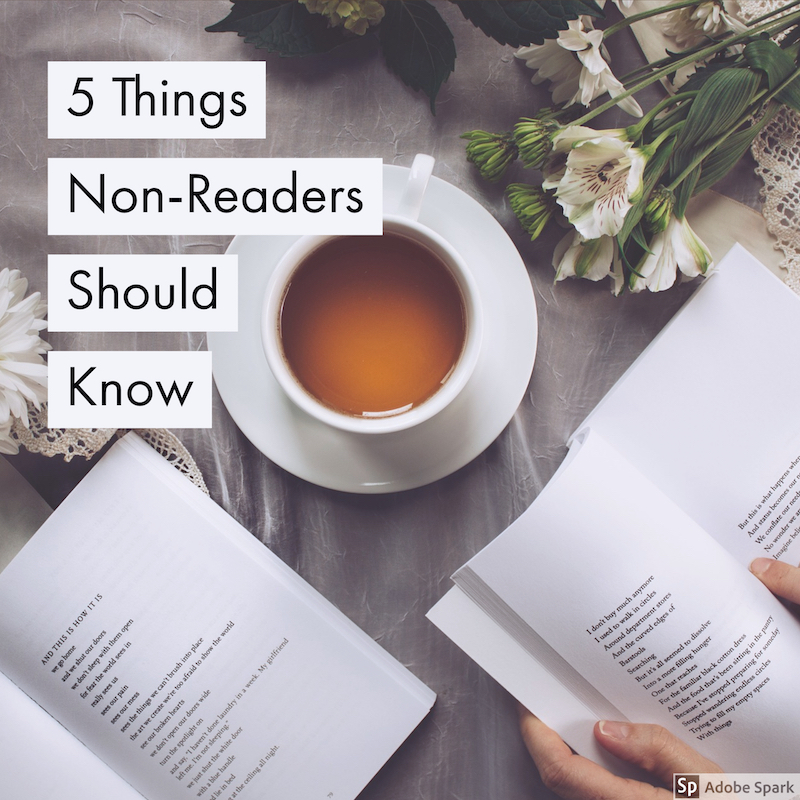 What’s important though is that you likely have book lovers in your life and in order for us all to co-exist peacefully, here are some things you should keep in mind. It’s not a waste of time for us. Reading is self care. 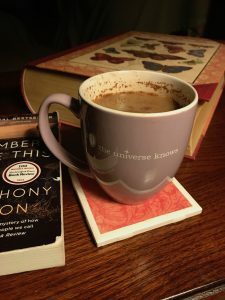 We each seek refuge in books for a variety of reasons, but it’s ultimately about caring for ourselves. A reader may choose fantasy novels to escape reality, or self-help books for personal growth and comfort. Each genre and each title within it provides something unique. Bottom line: respect a reader’s desire for alone time with books. 2. Reading teaches empathy. If a reader seems overly involved in a book and wants to talk to you about it, please take the time to listen. He may be experiencing a new emotion for the first time and/or learning something major that’s expanding his horizons and he needs to talk it through. Chances are you may learn something too! 3. Readers like to look at books. We want to go in the bookstore, even if we don’t intend to buy anything. We like to look through book stores, to touch books, and smell books. And yes, we will buy more books even when we don’t “need” them. 4. Readers take books everywhere. Your date may have brought a book in her purse. That doesn’t mean she thinks you’re boring. She just wants to be prepared for any waiting time, regardless of the reason. If you do end up doing some waiting alongside a reader, don’t take offense when the book comes out. 5. A reader may not want to see a movie adaptation of a book. There are lots of reasons for this. Sometimes I simply do not want to watch the movie adaptation of a book I loved, other times I want to wait until I’ve read the book (or it’s sequel, or the entire series.) 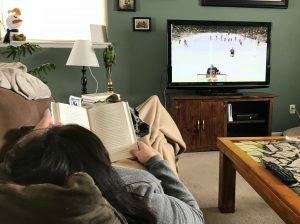 A non-reader should not take any of these things personally if a reader doesn’t want to watch a certain movie with you. 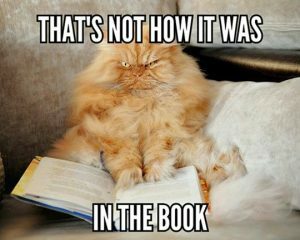 And if they do watch it, be prepared to hear about how much better the book is! Although I’m sure there are plenty of other things, these are the ones that have come up most often in my life. What about you? Is there something you wish non-readers knew? If you’re not a reader, what do you think of my list?